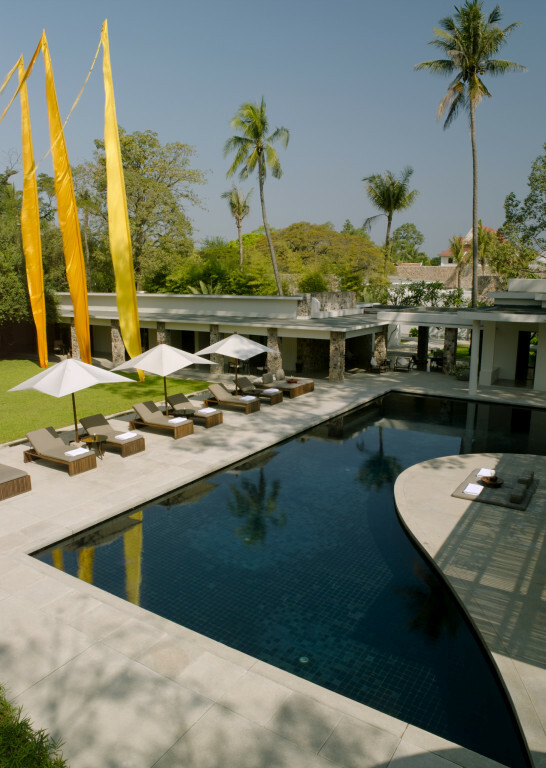 This Angkor Wat luxury resort is the former gorgeous guest villa of King Sihanouk and now provides the ambiance of an elegant home. 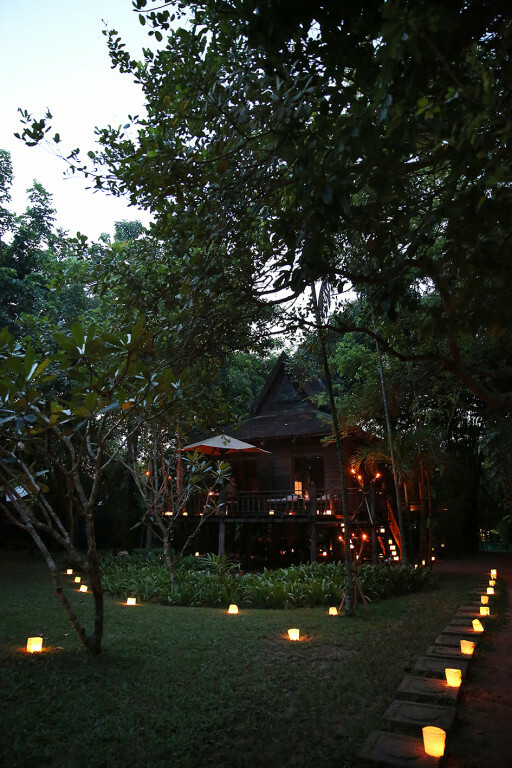 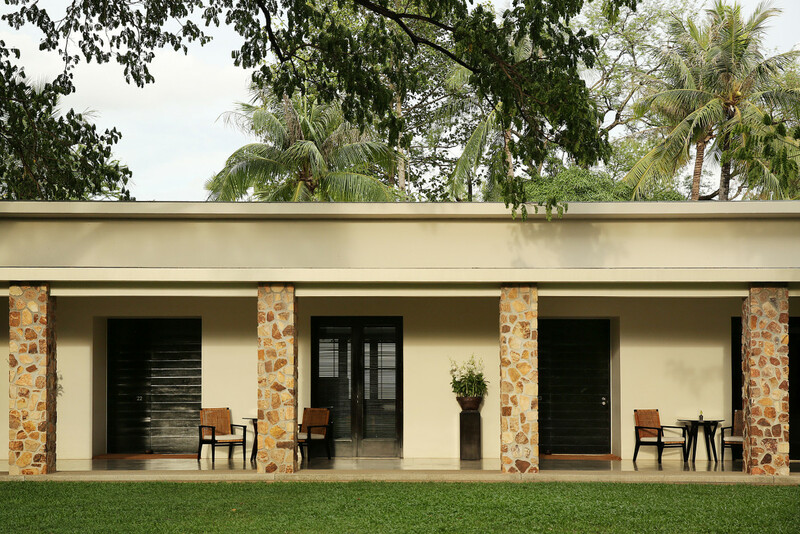 Royal lineage aside, the walled garden compound with 24 suites is a tranquil escape just steps away from the Angkor UNESCO World Heritage Site. Practically perfect for privacy-seeking couples looking to tie the proverbial knot. 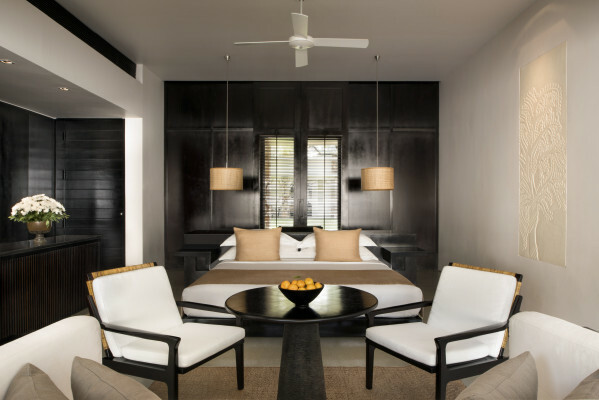 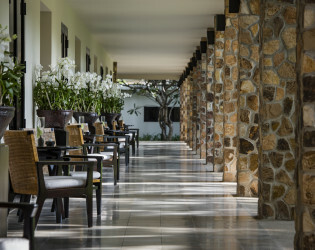 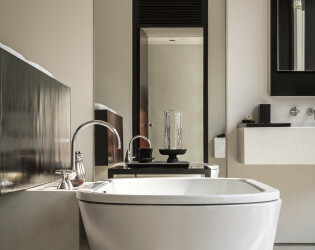 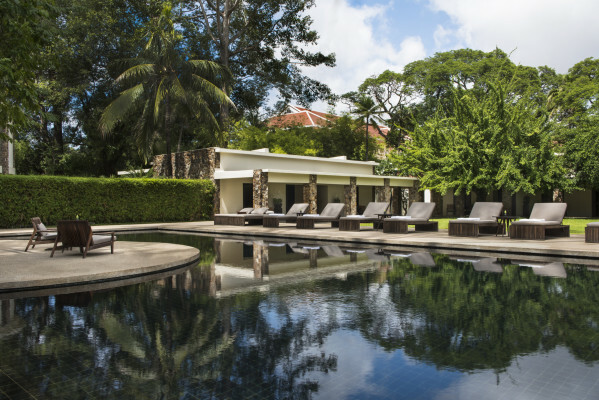 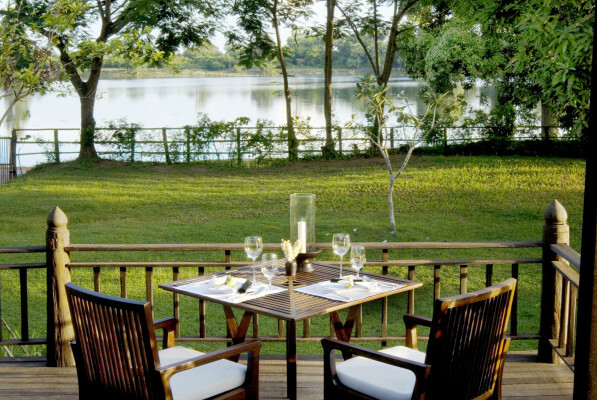 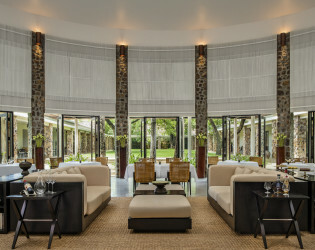 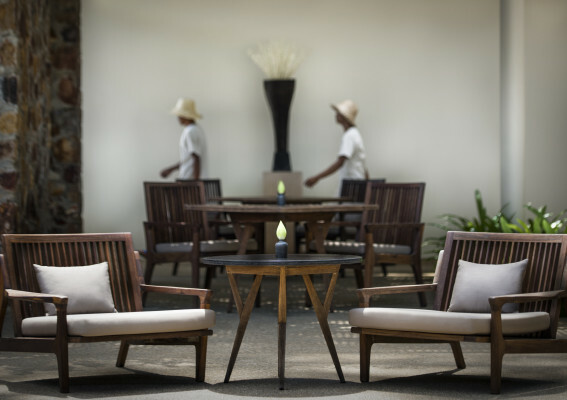 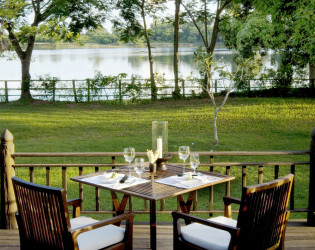 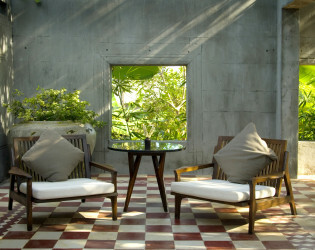 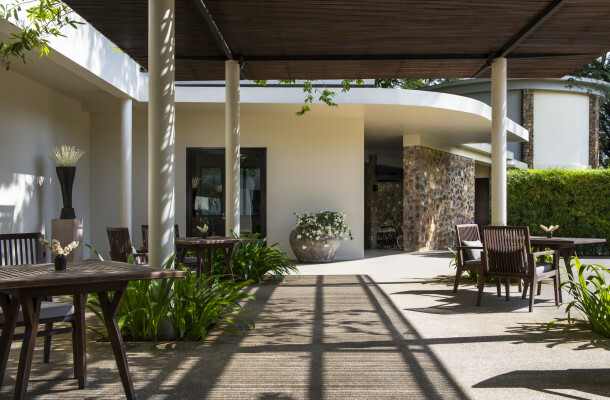 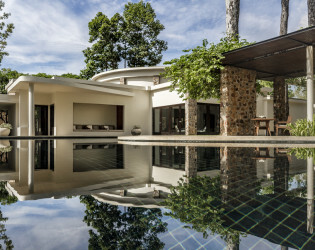 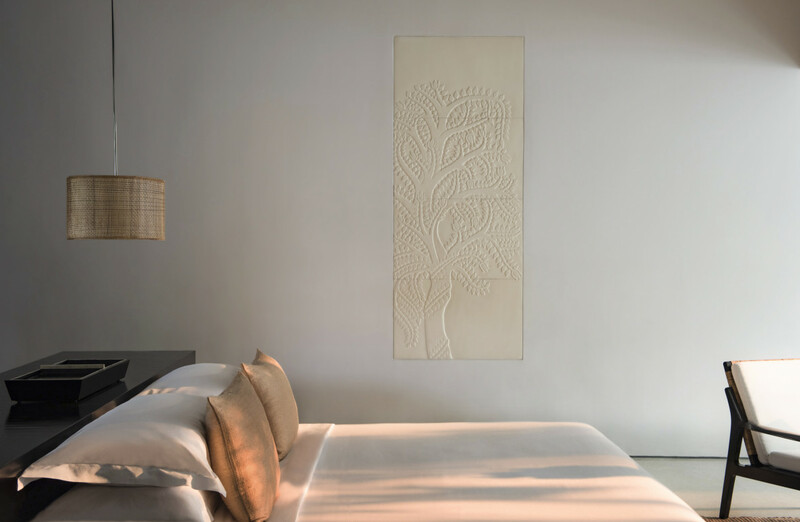 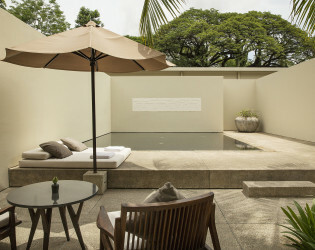 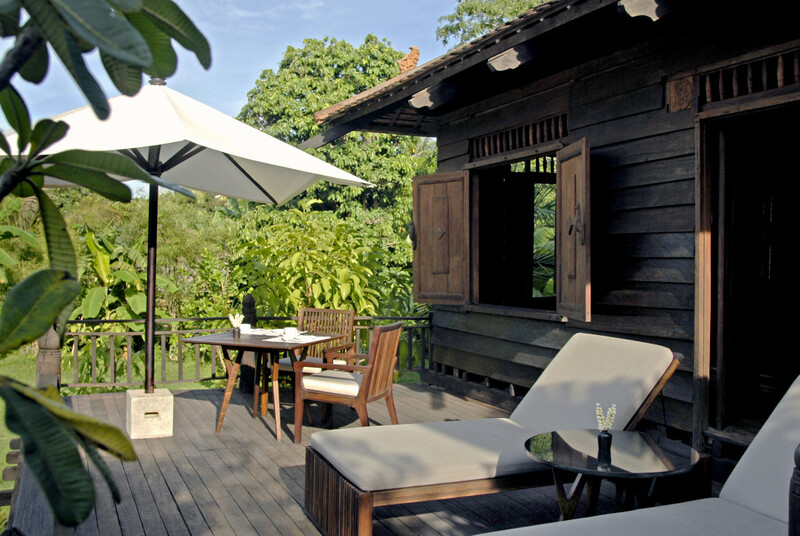 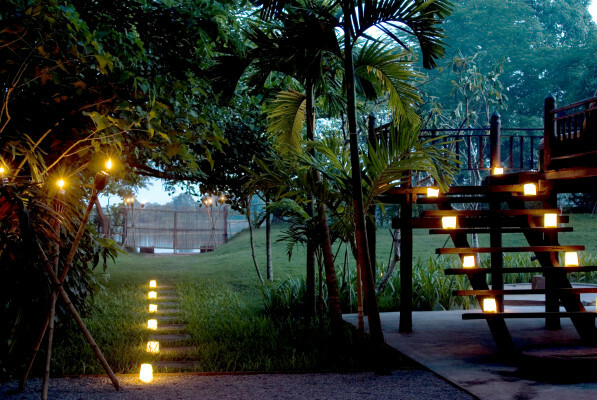 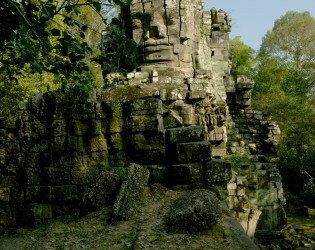 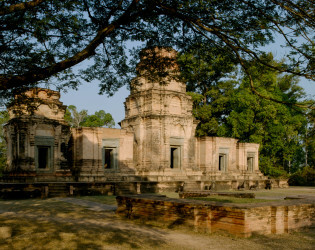 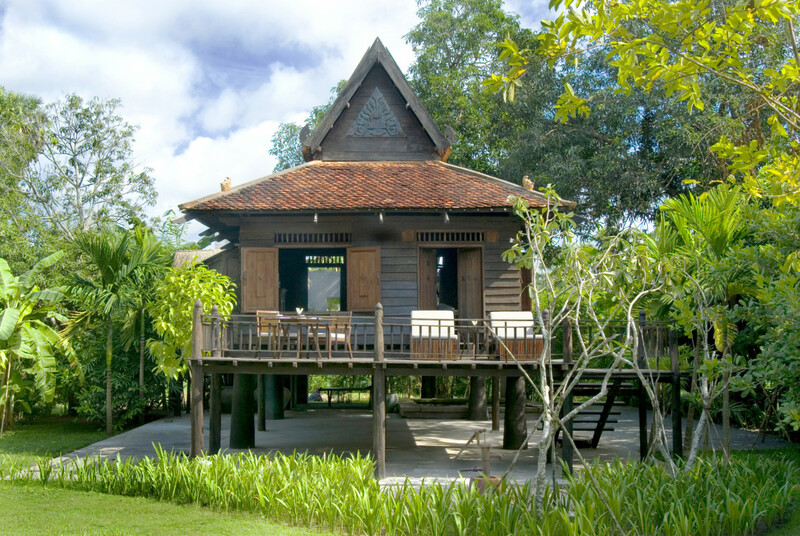 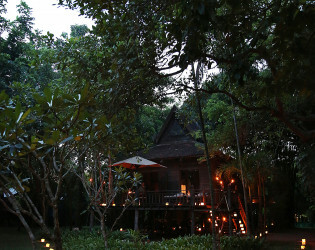 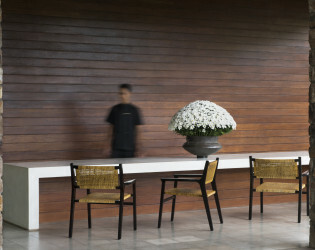 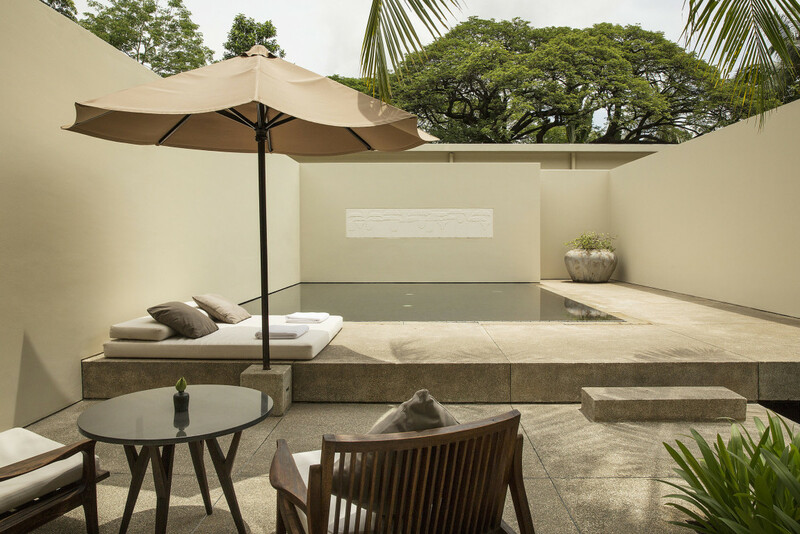 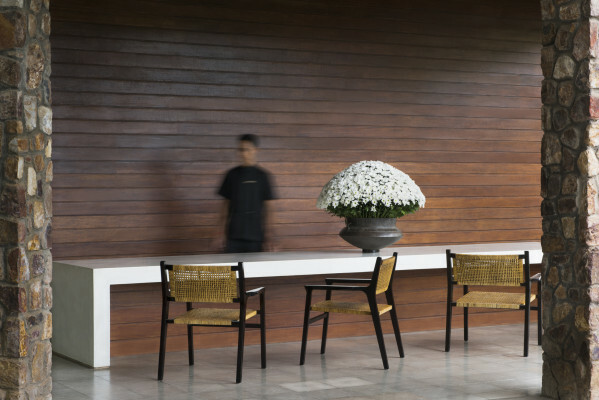 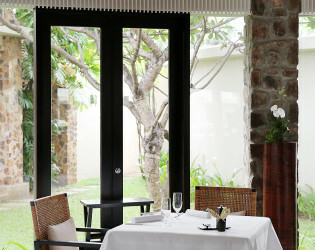 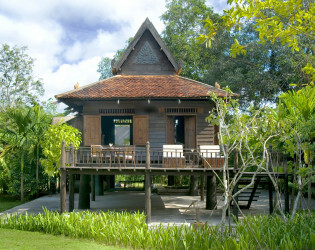 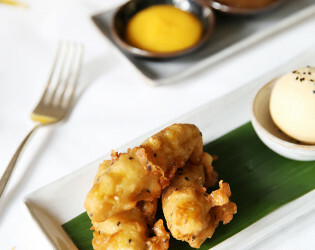 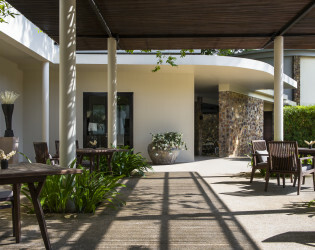 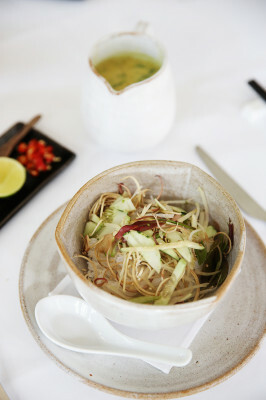 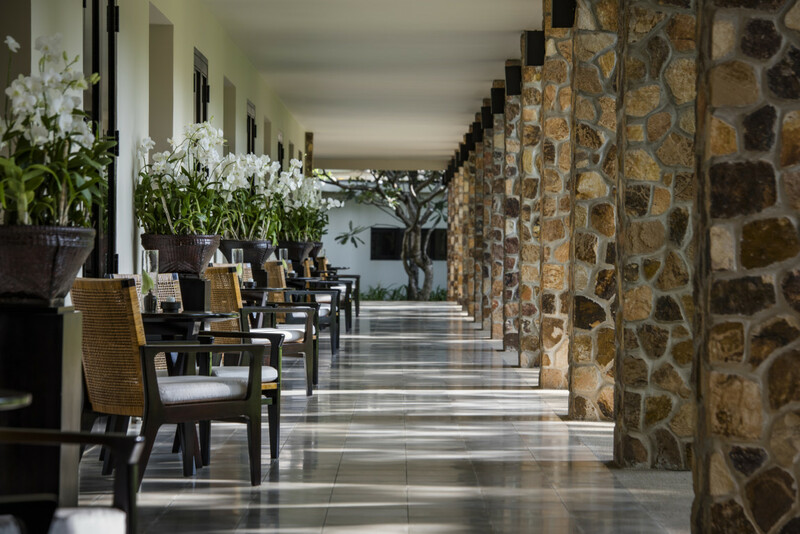 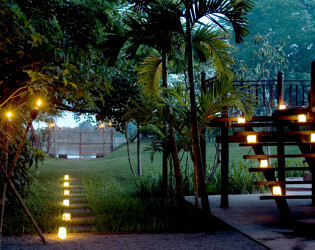 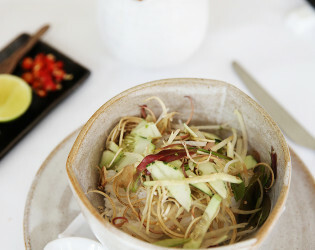 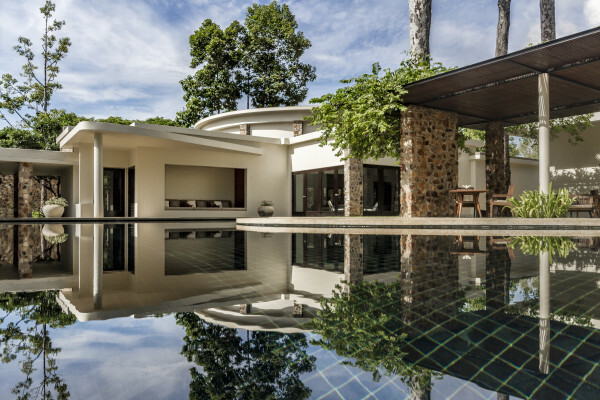 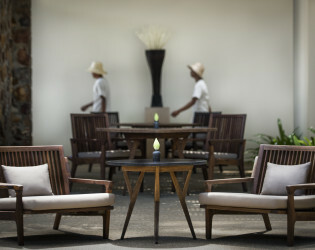 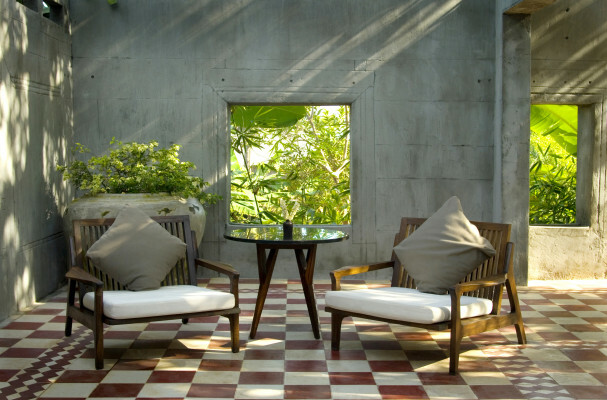 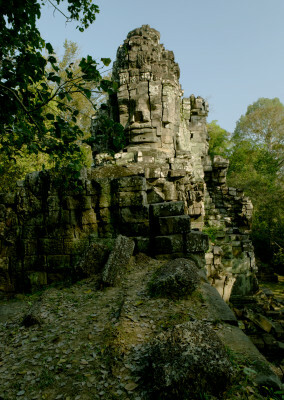 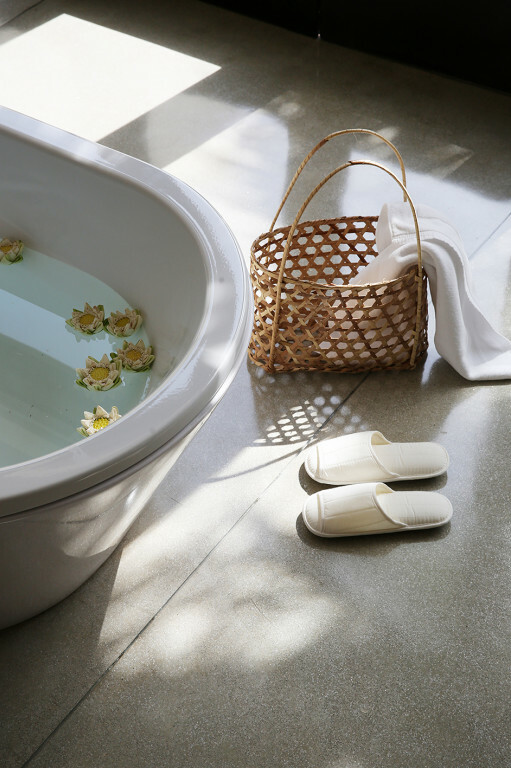 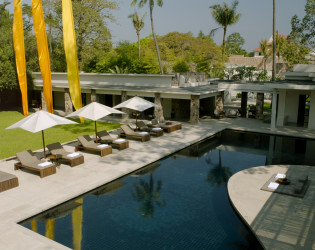 Situated in Siem Reap, the cultural capital of Cambodia, Amansara lies just 10 minutes from the entrance to Angkor Wat. 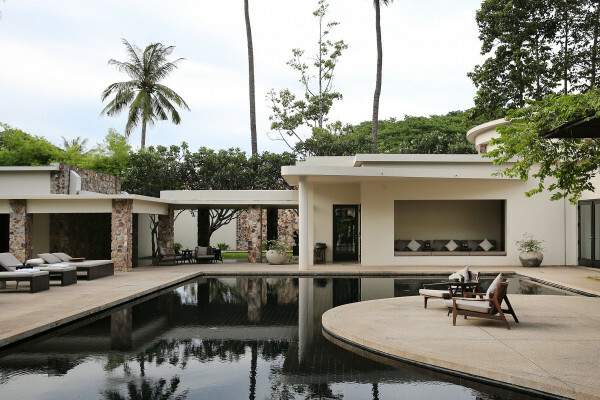 Once the guest villa of King Norodom Sihanouk, today this walled garden estate serves as a tranquil 24-suite retreat with the ambience of a gracious home. 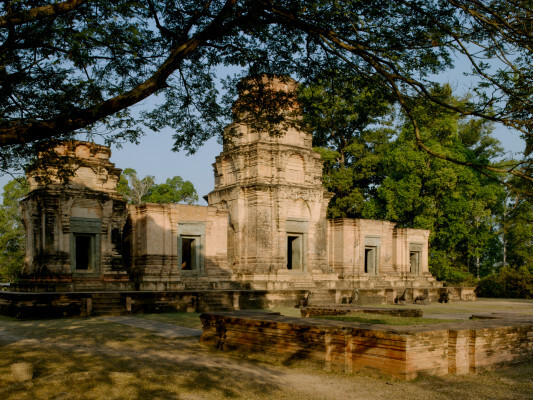 Just a 15-minute drive from Siem Reap airport, Amansara provides an ideal base for exploring the UNESCO-protected temples of Angkor and Khmer culture. 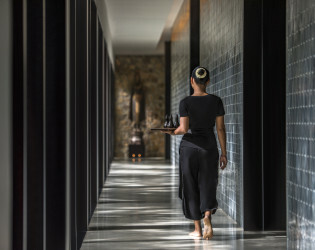 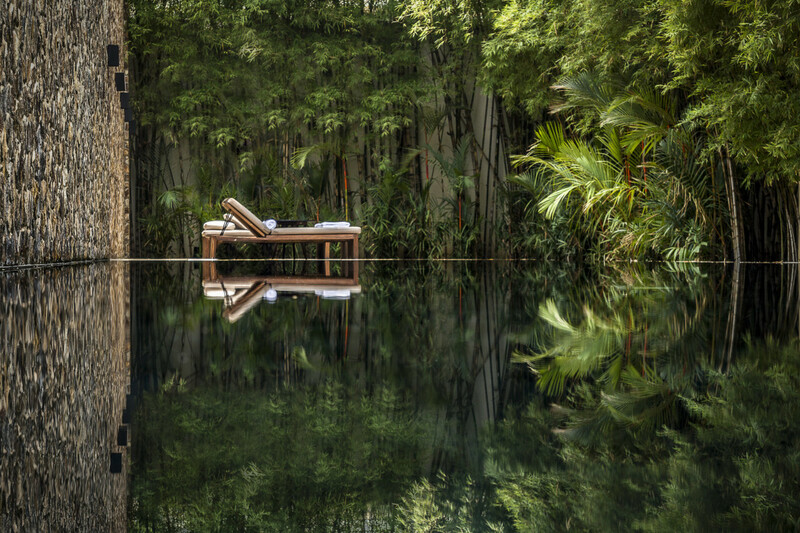 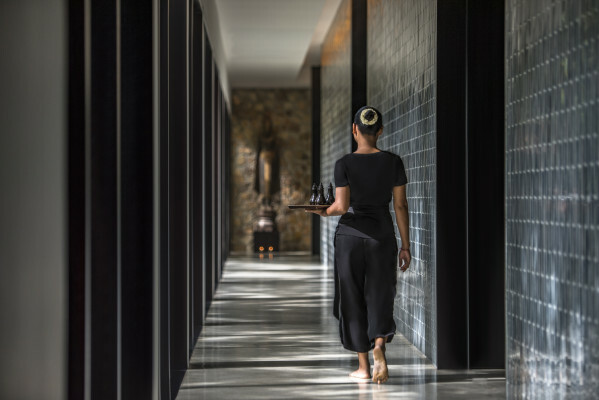 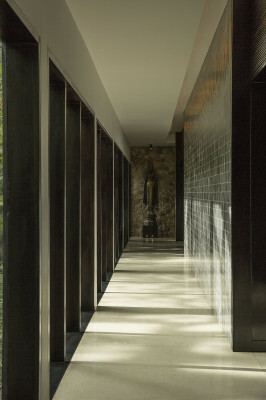 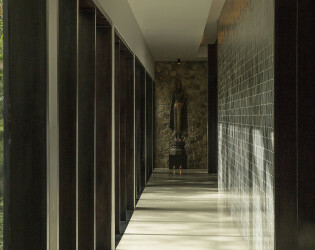 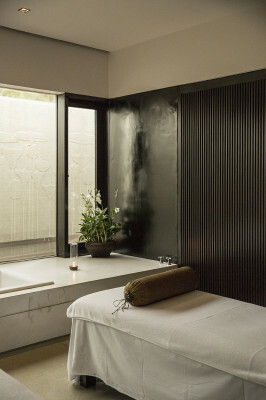 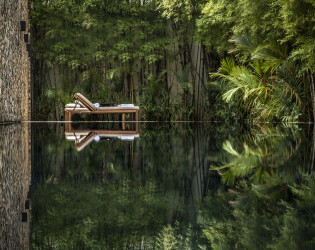 Amansara combines the Sanskrit-derived word for ‘peace’ with apsara, the ‘heavenly nymphs’ of ancient Hindu texts. 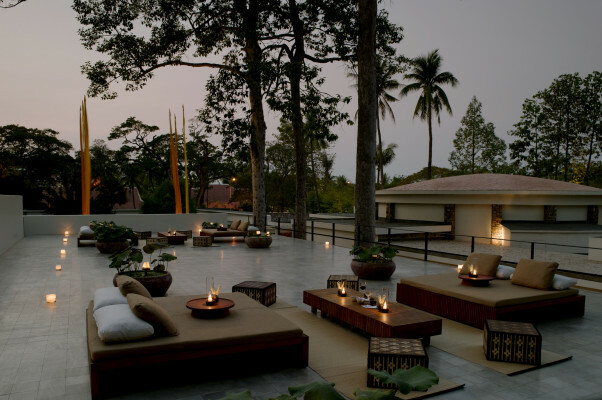 Once known as Villa Apsara, this former royal retreat was built in 1962 by French architect Laurent Mondet. 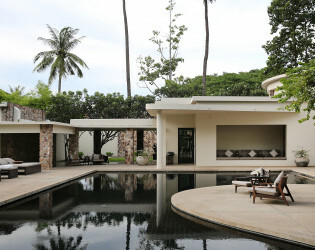 Quintessentially ’60s in character, it featured 12 low-slung chalets spaced around a curved swimming pool and a shady lawn. 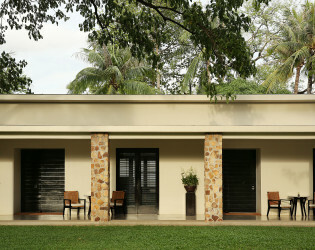 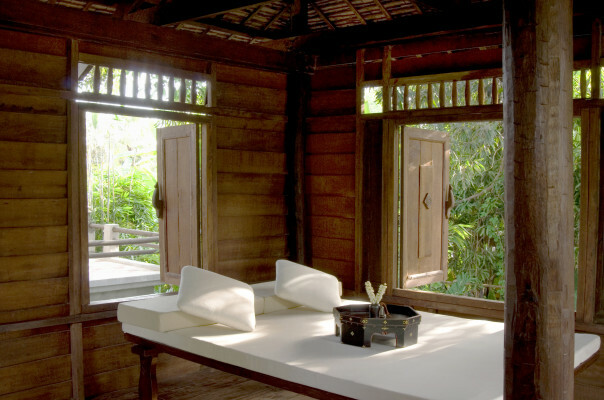 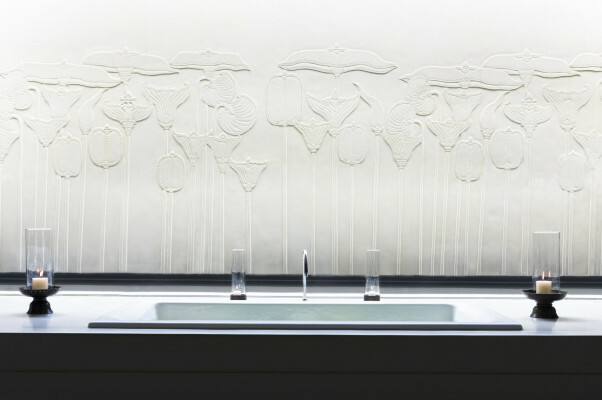 Aman acquired the property in 2002 and meticulously reconstructed it from old photographs. 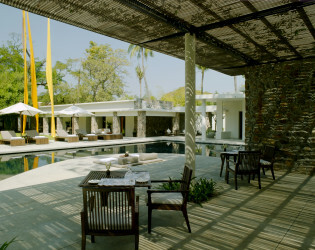 Amansara opened in December 2002. 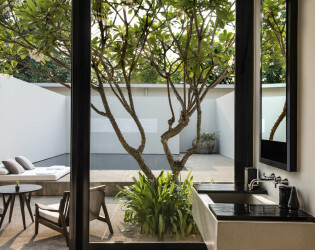 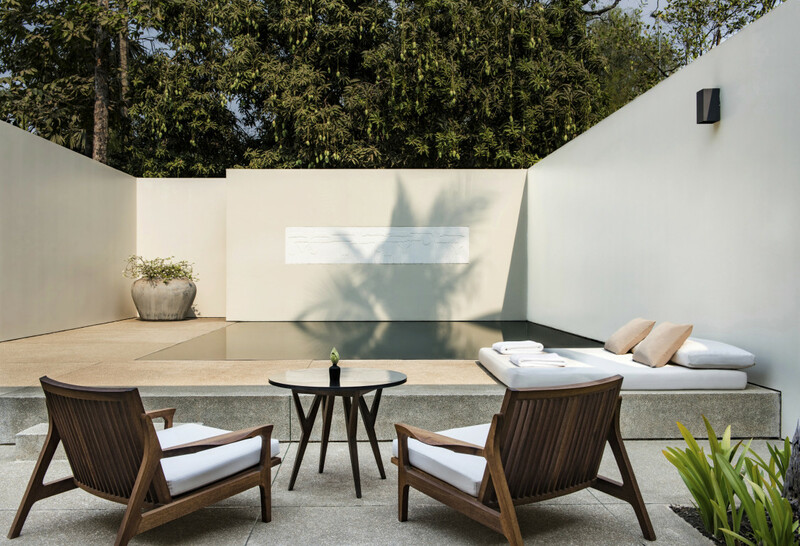 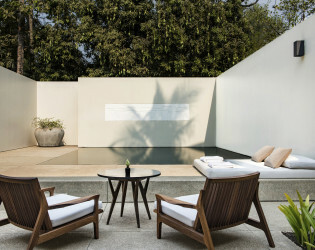 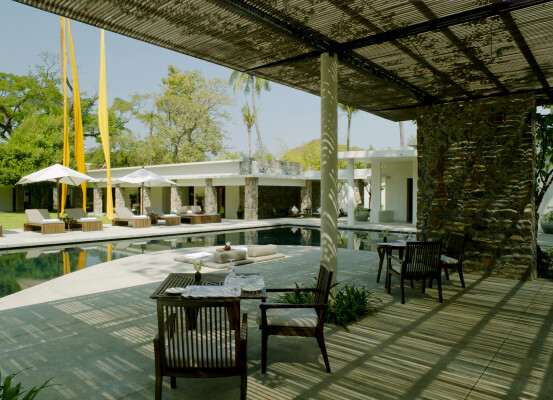 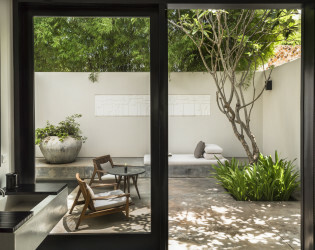 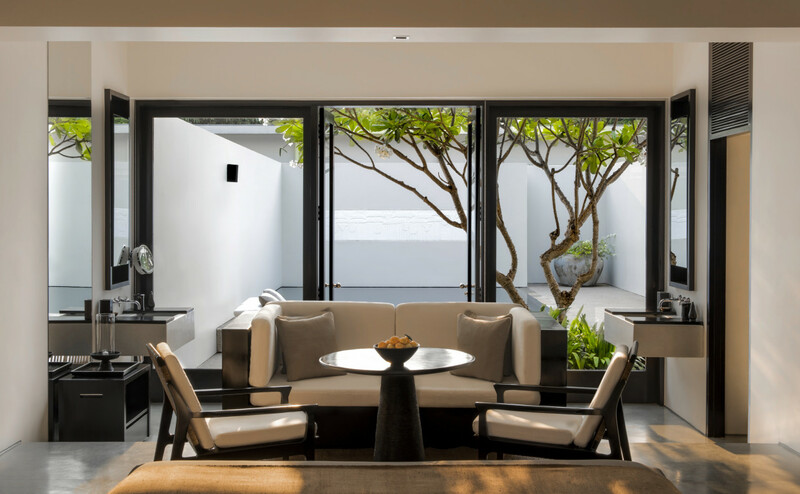 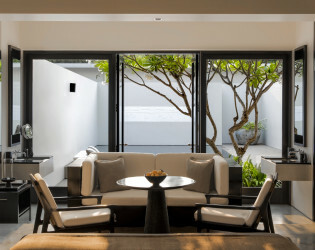 Amansara presents 24 suites, all with private courtyards and 12 with private swimming pools. 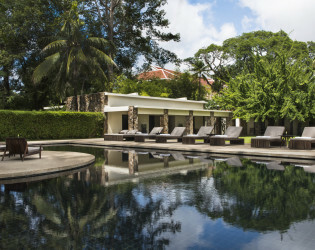 Private plunge pools measure six metres by five metres. 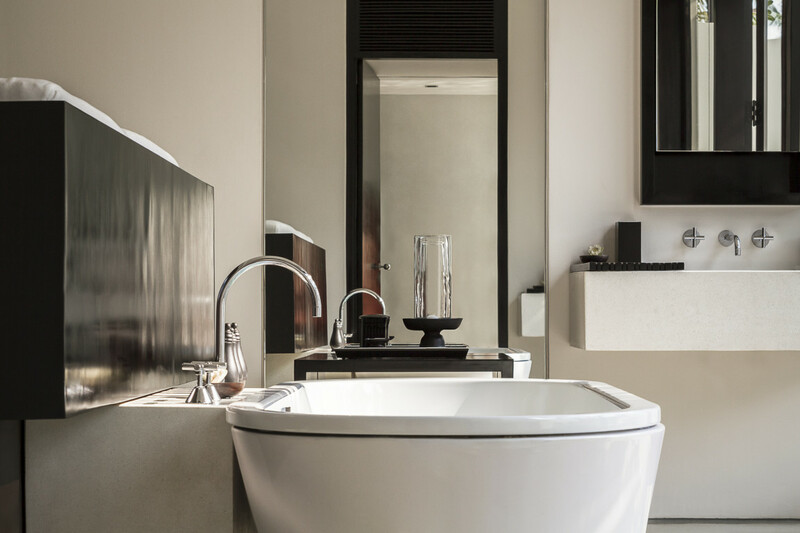 Similar in design, each suite enjoys an open-plan layout with terrazzo and timber finishes. 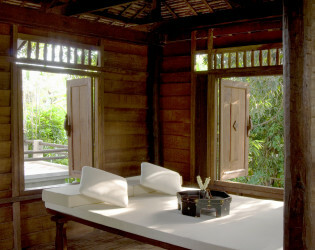 A combined sleeping and living area features a king-size bed, a large writing desk and a sofa. Adjacent is a dressing area and an informal dining area. 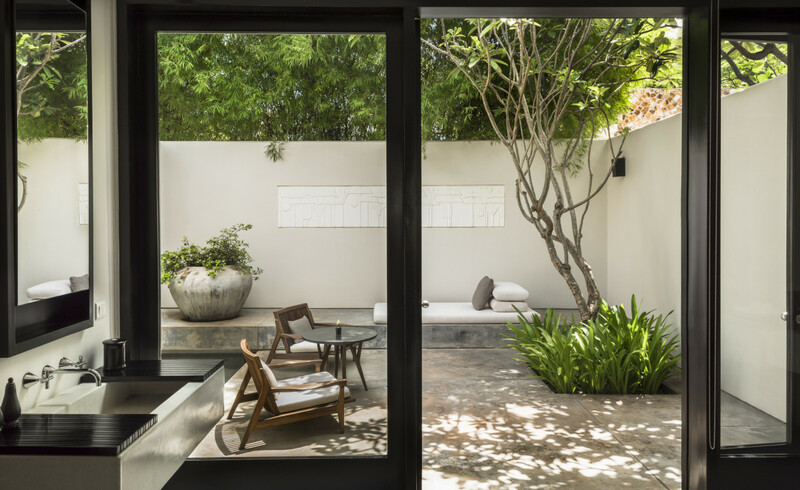 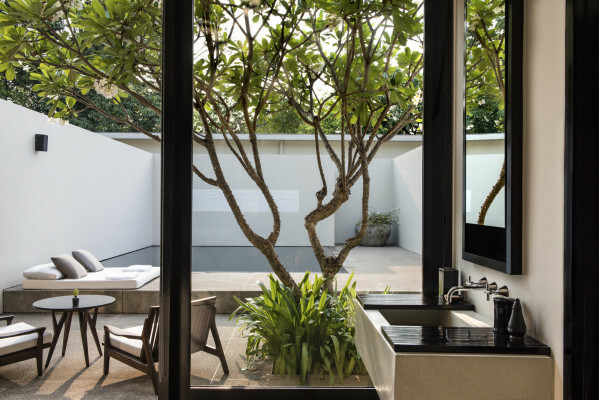 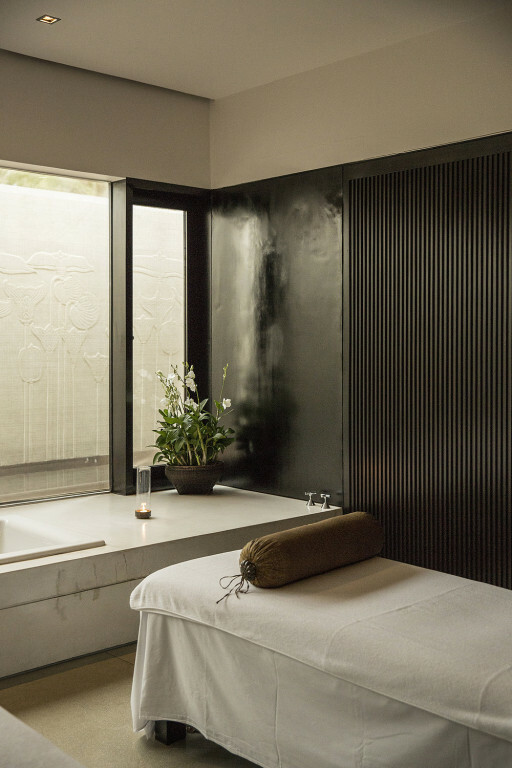 Down a few steps is the bathroom, with floor-to-ceiling glass doors opening onto the courtyard. 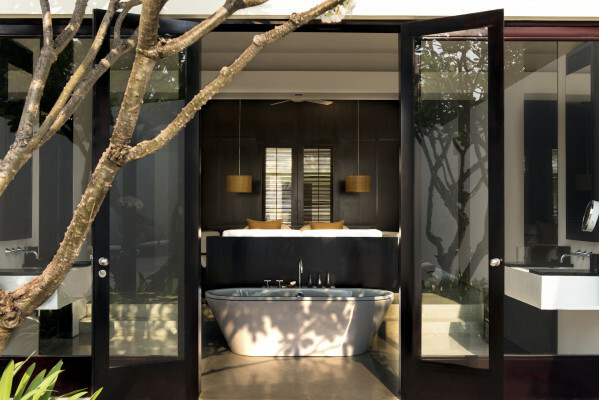 The bathroom provides twin vanities, a large soaking tub and a separate shower and toilet. 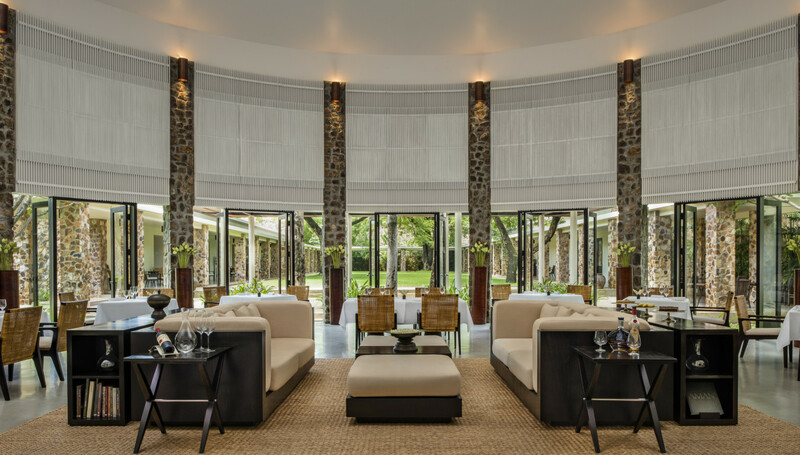 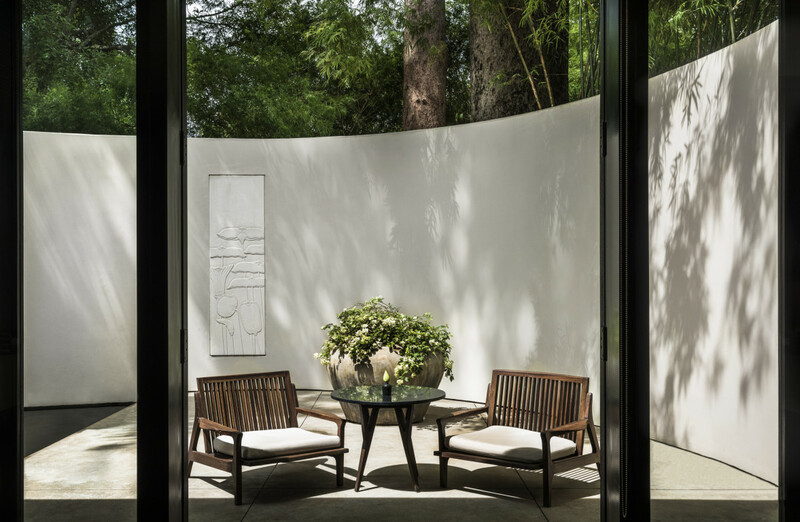 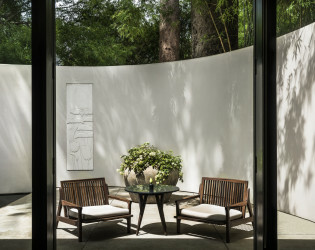 Across a manicured lawn from the suites and adjacent to the main 17-metre swimming pool is the circular Dining Room with its soaring ceiling and shaded terrace. 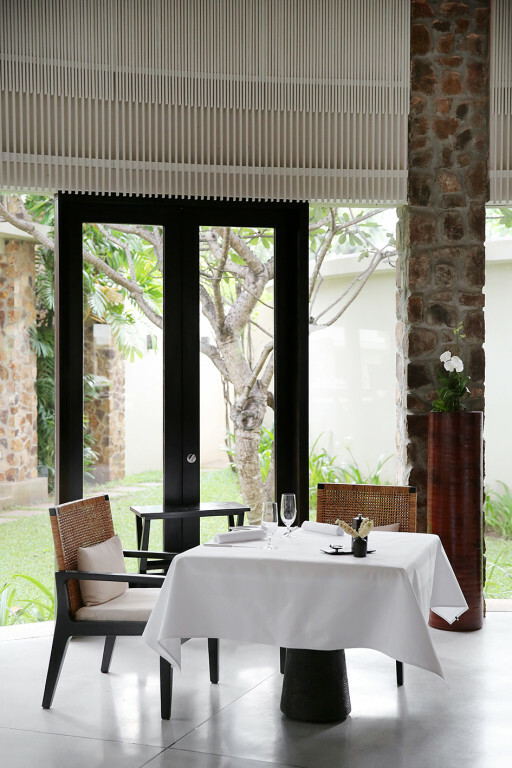 The focal point of the property, it serves a menu of Khmer and Western cuisines and includes a walk-in wine and cheese cellar and a casual lounging area. 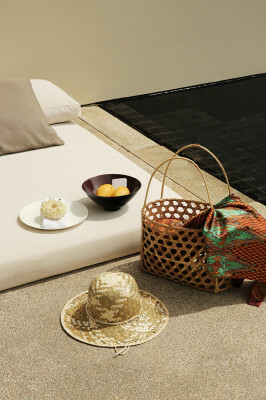 As well as helping themselves to the home-baked cakes on display, guests can choose to dine poolside or in-suite. 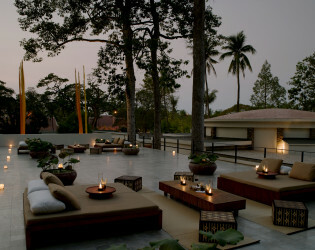 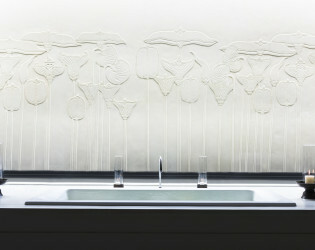 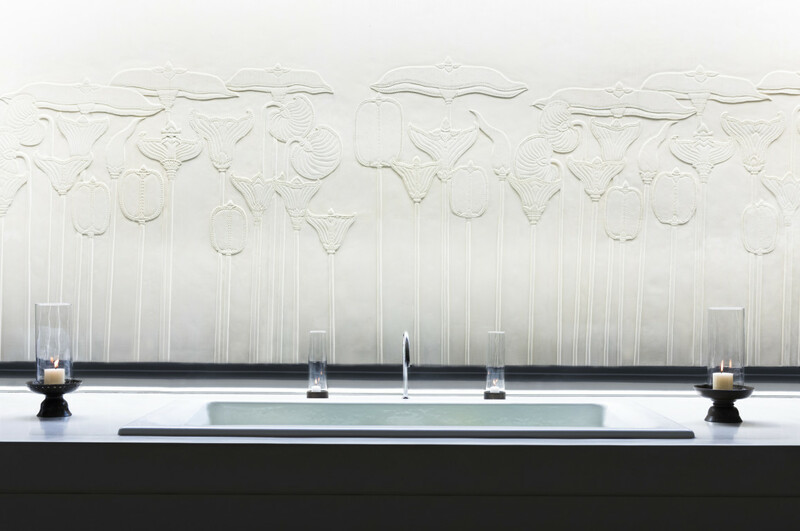 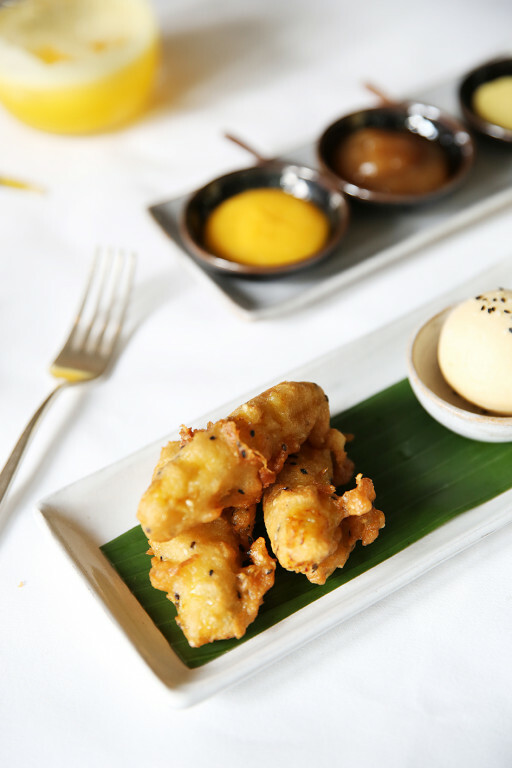 The Roof Terrace offers a seasonal venue for early or late evening drinks and private dinners. 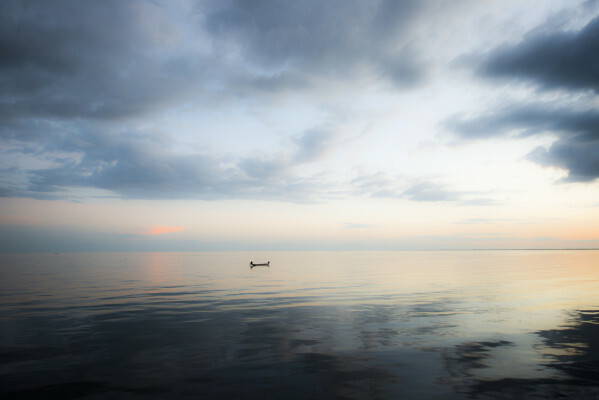 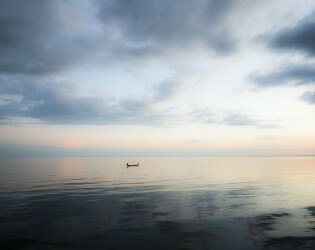 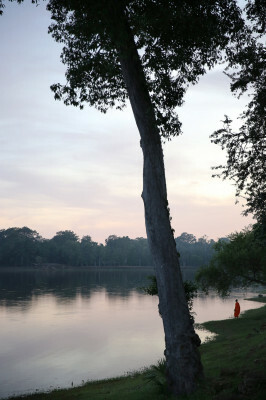 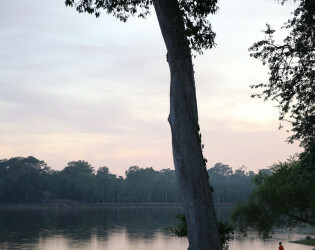 It is also an ideal place for yoga or quiet contemplation, especially at sunrise. 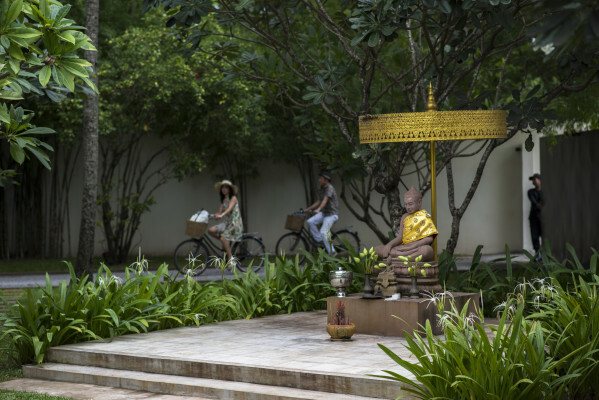 A variety of temple tours and customised excursions are available as part of the Amansara guest experience. 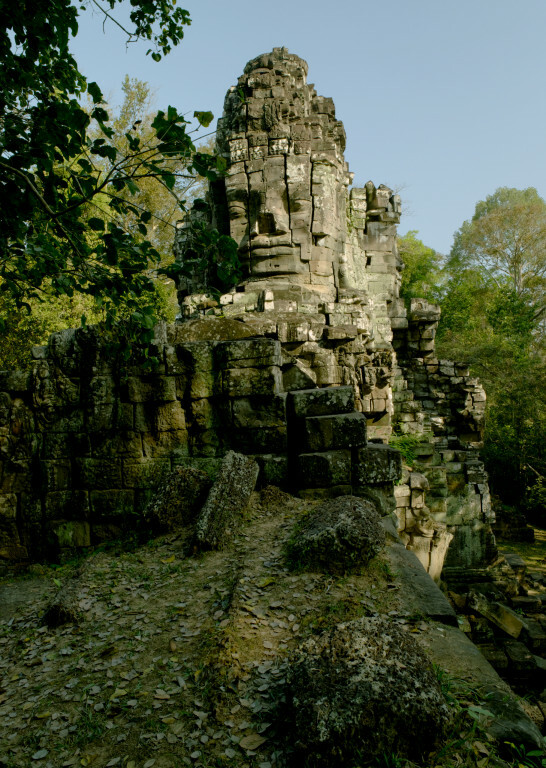 Complimentary house outings focusing on the temples surrounding Angkor Wat are conducted in the early mornings, utilising Amansara’s own fleet of remorks (moped-powered trishaws), each with its own Amansara driver and guide.